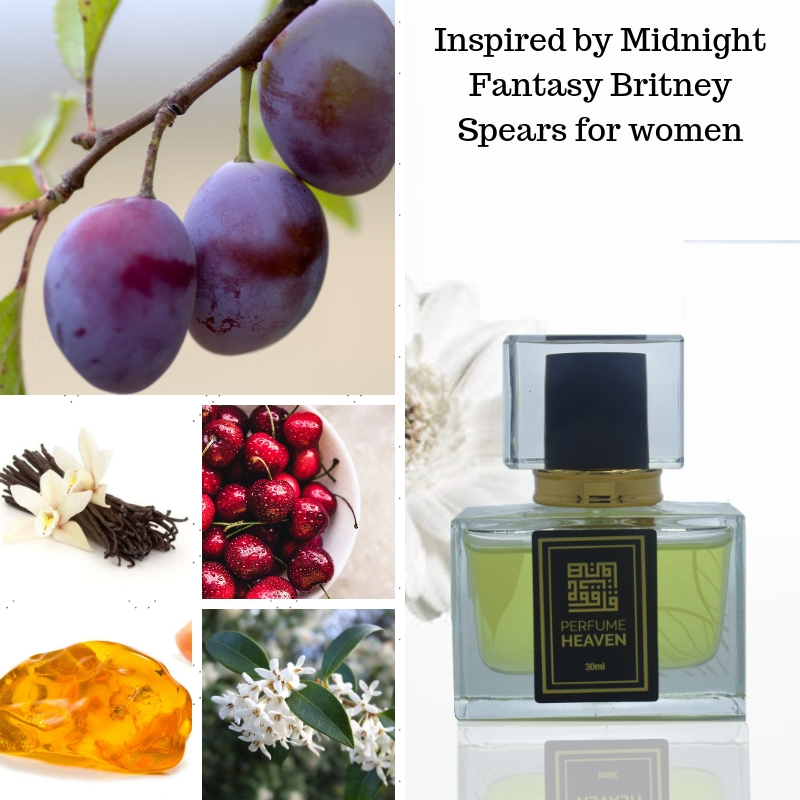 Britney has launched her fourth fragrance for a younger audience, Midnight Fantasy. Now, on the dark blue bottle, Swarowski crystals resemble real stars. Night flowers and exotic fruits make it mysterious and appealing, like forbidden fruit. In the top notes there are exotic Framboise, black cherry, and plum. The heart features an harmonious dialogue of night orchid, freesia and iris. Amber, musk and vanilla create a dark and warm trail. The perfume was created by Caroline Sabas in 2006. Perfume rating: 3.88 out of 5 with 4475 votes.